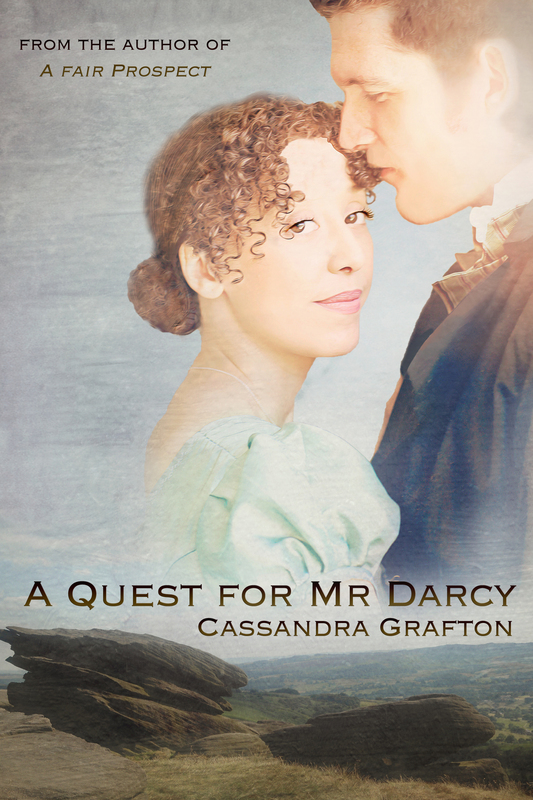 A Quest for Mr. Darcy was a much-anticipated novel for me. I read A Fair Prospect a few years ago and ever since I’ve been wishing for the author to write another JAFF novel, so A Quest for Mr. Darcy was the answer to my prayers. What if Mr. Darcy decided to leave the country after the Hunsford proposal and therefore was not in England to save Lydia Bennet from her fate? What if there was a fire in the lodgings Wickham and Lydia were staying causing unthinkable consequences? What if Elizabeth was once more in the path of Mr. Darcy but with even more reduced circumstances? Could they overcome all obstacles and find their happiness? A Quest for Mr. Darcy will take us to Pemberley where we will face a journey full of mystery, misunderstandings, and romance, and where our beloved couple will reunite, reconnect and learn new aspects about each other that will make the love story even more interesting. Cassandra Grafton was able to create a sweet and romantic story without much angst but that could still captivate angst addicts like me. Elizabeth will have her share of jealousy (which is something I always love), and their insecurities will promote some very touching moments. I particularly liked the scenes that involved either a piano or water such as their first encounter and the second proposal (no spoiler here, you know they’ll end up together right?). I enjoyed the fact that this book was filled with suspense and original new characters as it brought vivacity into the story and kept me glued to it until the very ending. A Quest for Mr. Darcy is a long book but it didn’t feel like it when I was reading because of the liveliness of the characters. Some of the original ones will become as dear to you as any other supporting characters from Pride & Prejudice, and some of the most known characters will also take a special place in your hearts in the most unexpected manner. I believe the secondary characters are one of the best aspects of this book as they find their own place in the story and they shine as bright as the main characters. We will find ourselves curious about Jane’s decisions, we will have our heart divided between Bingley and Wentworth and we will want the Colonel to open his eyes and get the girl. Summing up, do not let the length of this book scare you, it is a well-written story whose romance and mystery will make you want to keep reading until you reach the final words. You will fall for Darcy and Elizabeth, but also for the secondary characters that will make you laugh and smile throughout the entire story.